Wooo hooo! It's Friday! 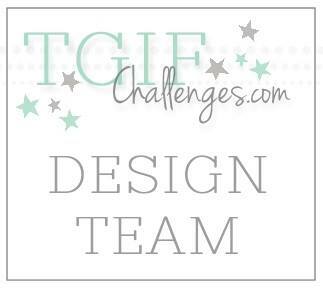 To make this Friday even better, there is a new card challenge over on Catherine & Cathy Create! This month's card challenge is "Gold-i-licious." In case you haven't noticed, gold is super hot right now. 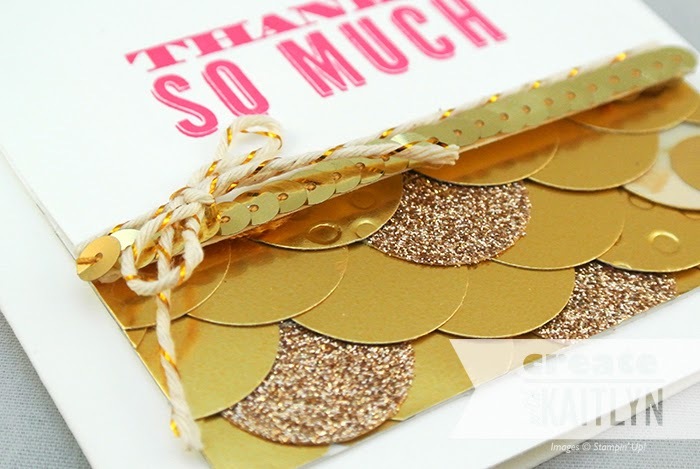 In fact, my most popular blog post is of my Pink & Gold Thank You Notecards. For this challenge, I decided to go along with the same color scheme with Melon Mambo, Gold, and Whisper White. I have been having lots of fun lately creating textures by layering lots of little pieces (see my post from Monday). For this card, I was thinking a long the lines of gold coins, so I used my 1" Circle punch to create a bunch of gold circles. Most of the circles are from the Gold Foil Paper, but a few are from the Champagne Glimmer Paper and Gold Fancy Foil Designer Vellum. I mixed up the papers to create some more visual interest in the overall look. Of course, that wasn't enough gold! So, I finished my card off with some Gold Sequin Trim and Gold Baker's Twine. Overall, this card is really pretty and elegant. You would have to be someone special to receive this card. 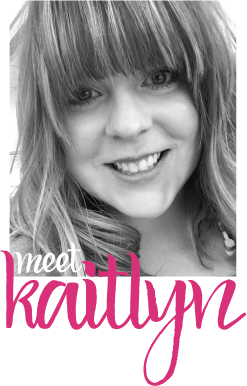 Now head on over to Catherine & Cathy Create to join in on the challenge and see what the other desingers have created! YUM YUM YUM O! This is so glamourous and fabulous!! !